If you thought that Amazon’s Kindle Fire was too small or too big, good news; Amazon is going to make different sized Kindle Fires. According to Demos Parneros (Staples Inc president of U.S. Retail, a retailer that sells Amazon Kindle Fires) who said to Reuters, Amazon is planning to introduce up to “five or six” new tablet SKUs, of one being a 10-inch model. One major thing to note the words “up to” as there are “five or six tablet SKUs.” A SKU is a s a “stock-keeping unit” and sometimes there can be multiple SKU for a single model device. An example is Apple’s iPad: there are models with a 3G modem installed and there are models with only a Wi-Fi antenna installed, and there are models with different sized internal storage (like a 16, 32, 64 GB models). 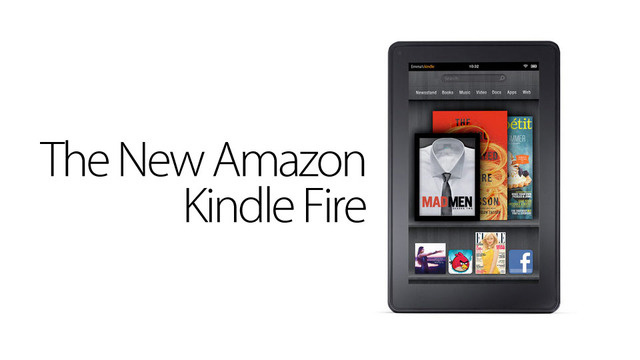 So it is unlikely we will see many different model Kindle Fires but rather different sized and feature devices and it is mostly suggested that Amazon will only release two model Kindle Fire. One thing to note that there is no word whether the five or six SKU relate to a smartphone that has been rumored. As Google released their own 7-inch tablet for $199 recently with the Nexus 7, there has been steep competition between both companies as they both run Android and cost less than $200. Although the United States is going to get a new Kindle Fire, people over the pond in the UK do not have the chance to have a Kindle Fire. Hopefully, they will get one soon.